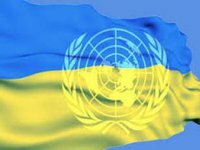 As many as 1,129 people have been killed and 3,442 injured in Ukraine since the beginning of the anti-terrorist operation in mid-April 2014 until July 26, according to a UN report. "Based on the best data available, conservative estimates by the Human Rights Mission and the World Health Organization put the number of those who have been killed from mid-April to July 15 as 1,000 people. As of July 26, at least 1,129 people have been killed and 3,442 wounded," reads the latest UN report covering the period of June 8 to July 15, 2014, which was issued by the Office of United Nations High Commissioner for Human Rights (OHCHR) on Monday. The OHCHR said that it was difficult to count the true number of deaths. According to the press office of the UN High Commissioner for Human Rights, the report documents how armed groups continue to abduct, detain, torture and execute people kept as hostages in order to intimidate and "to exercise their power over the population in crude and brutal ways." In response, the report says, there has been an acceleration of government security operations during July in the areas still under the control of the armed groups, with heavy fighting located in and around population centers, resulting in loss of life, property and infrastructure and causing thousands to flee. According to the report, the deteriorating situation in eastern Ukraine is impacting adversely on the rest of the country, with more than 100,000 people fleeing the areas of fighting having to be temporarily accommodated in other parts of Ukraine. "The report points out how impunity in the areas under the control of the armed groups in the east has led to the collapse of the rule of law," the OHCHR press office reported. In addition, the report also notes that the government estimates the cost for the rebuilding and revitalization of the east to be at least UAH 8 billion (about $750 million).